If you are looking for information on the Game On Video Games franchise business opportunity, Game On Video Games franchises or Game On Video Games franchising, then you have come to the right place. You want to own your own business and be in control of your future. You love video games and want to run a successful and passionate retail store. We invite you to discover why Game On Video Games could be just the franchise opportunity you've been looking for. Video games are the fastest growing segment of the entertainment retail industry. In Canada annual sales were up 56% in 2007, and the Canadian industry sales surpassed $1.5 billion. Video and computer game enthusiasts are spending an average of $700 a year on game software, and 75% of the heads of households and 84% of teens play video and computer games. Game On models itself on record stores of the past. 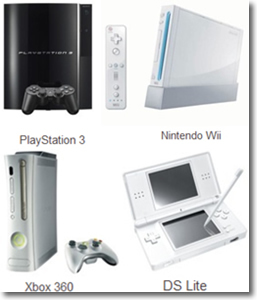 All formats of video games and consoles, including retro. Interactive game stations so the customer can "try before they buy". 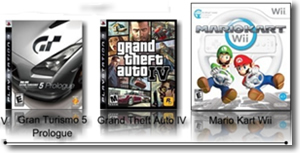 Dedicated game sections divided by category. Great music playing at all times. Higher value for game trade-ins. Daily email blasts to interested customers and traders. Game On Client Card that provides bonuses for buying games. Community minded - we get to know our customers by name. What Sets Game On Apart? $5 game rentals and unlimited monthly rental program. Birthday parties and team windups. Pokemon and Yu-Gi-Oh trading cards. Combine and Save sales programs. We are committed to finding franchise partners that share our retail vision. We believe franchisees should be given complete operational support to achieve a profitable video game store, while maintaining the core values of retail we represent: fair value, great customer service, passion for video gaming, within a community-minded, interactive retail environment. Customized POS system developed by Game On allows us to remain competitive in both new and pre-played pricing of games. We offer professional training and daily on-going assistance.